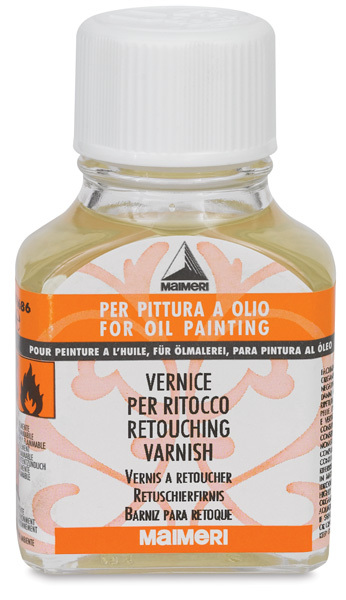 Maimeri Retouching Varnish is a light final varnish. It's suitable for treating matte areas that form while painting before applying another final varnish. It has a medium drying time. Minimal gloss. It's housed in a glass bottle with twist-off cap.